The AGU Fall Meeting is expected to draw a crowd of over 16,000 geophysicists from around the world. The Fall Meeting provides an opportunity for researchers, teachers, students, and consultants to present and review the latest issues affecting Earth, planets, and their environments in space. This meeting will cover topics in all areas of Earth and space sciences. We compiled UNAVCO co-authored talks and poster sessions into a handy itinerary. Please add them to your personal itinerary. 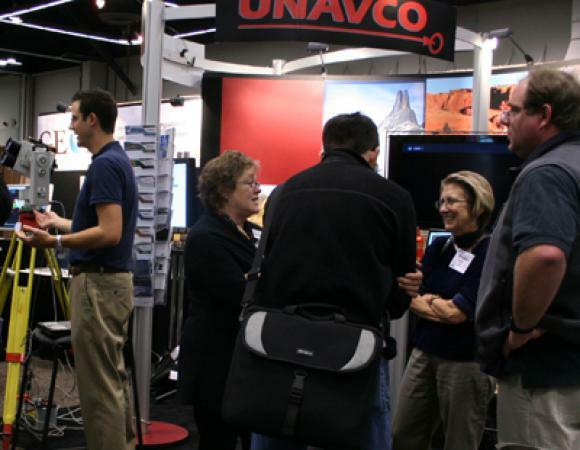 Find UNAVCO in the exhibit hall at booth 310 on NSF lane. We will have topic sessions at the booth all week, given by UNAVCO staff and community members. We will share knowledge about the latest tools, resources, and research, and be available to answer your questions. View the current schedule below. UNAVCO staff will attend the AGU Geodesy Reception on Tuesday, December 15 at 6:30pm in the Moscone Center, South Building, East Mezzanine Level, Room 220. 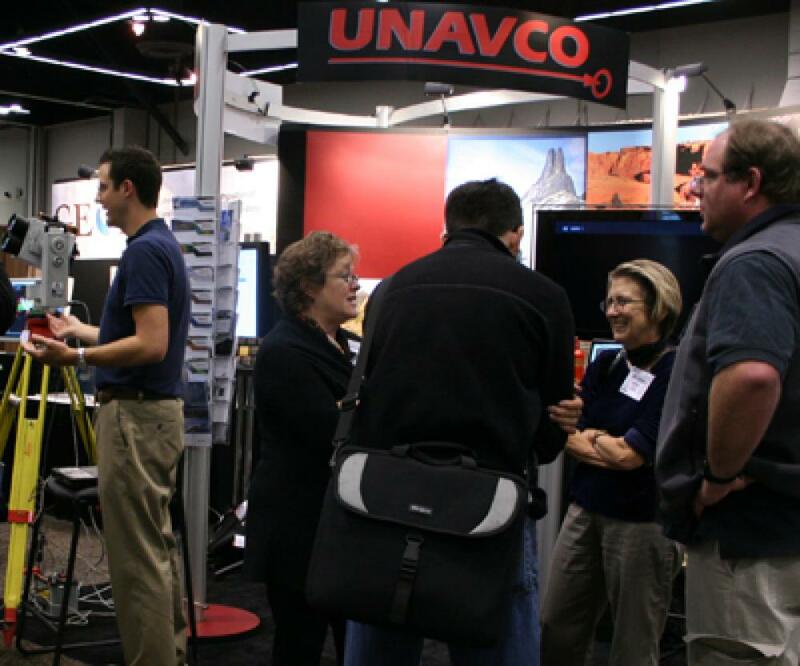 Following the AGU Geodesy Reception, all UNAVCO community members are cordially invited to attend the UNAVCO Annual Meeting, which will commence across the hall at 7:30pm in the Moscone Center, South Building, East Mezzanine Level, Room 228. If you’re on Twitter, use hashtag #AGU09UNAVCO to tag your tweets and keep up with events and information related to the UNAVCO community throughout the meeting.